-Once exiting the terminal, head towards the terminal islands on the lower level curbside. -Look for Shuttle G which will transport you for free to the Aviation Metro Station. 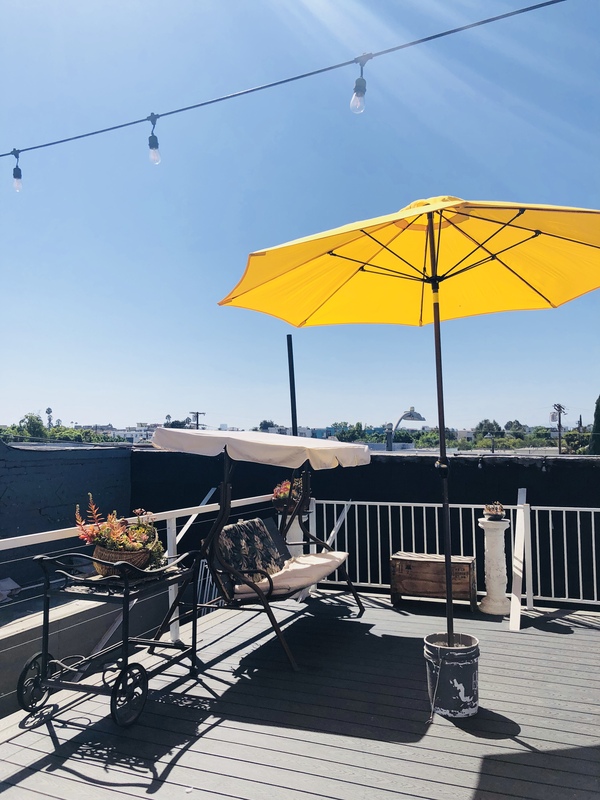 -From the Aviation Metro Station, board the Green Line subway (towards Norwalk Metro Station) and exit on the Crenshaw Station (South Bay). -Once you arrive, Melrose Hostel is directly across the street from Bank of America and next to the Saf Keep Storage building. 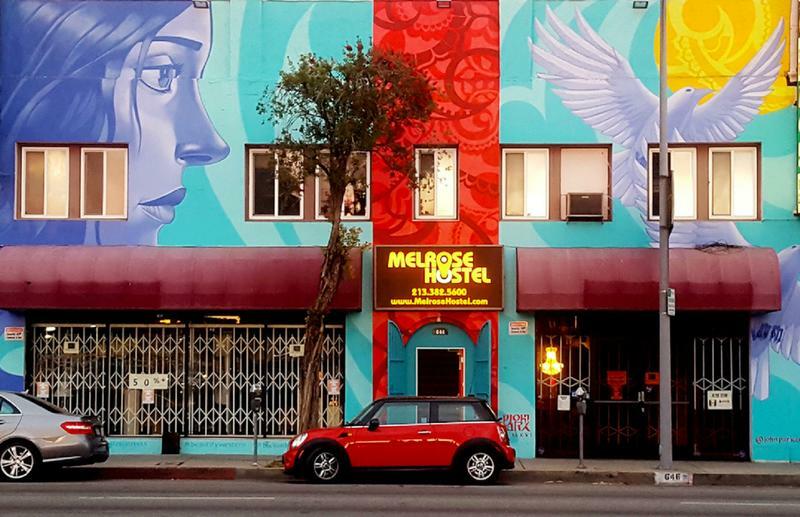 -For the rideshare apps Uber or Lyft, simply head to the promo section of the application and type Melrose Hostel for free money credit towards any ride you take. 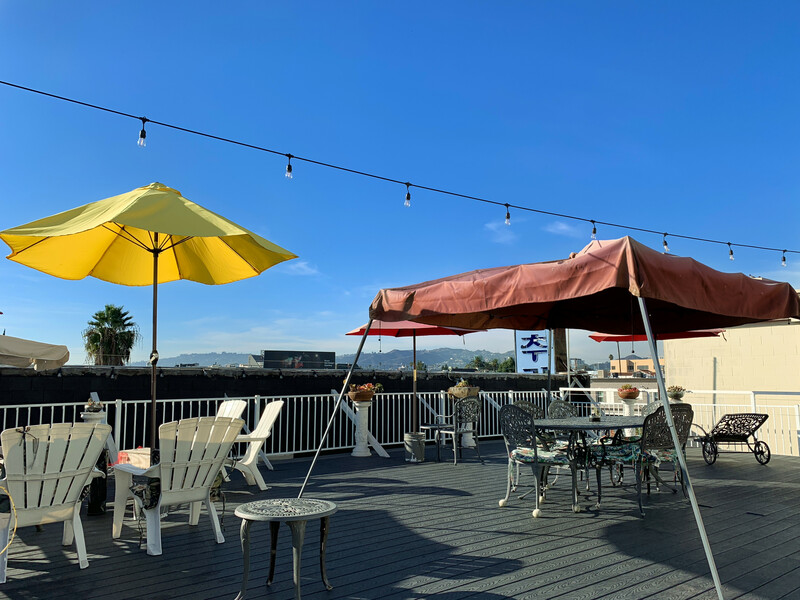 We are conveniently located on Western Ave & Melrose Ave. Melrose Hostel is located in the geographic center of many different attractions, such as Melrose Ave, Koreatown, Downtown LA, Hollywood, Paramount Studios, Griffith Observatory, The Grove, Universal Studios and many more! 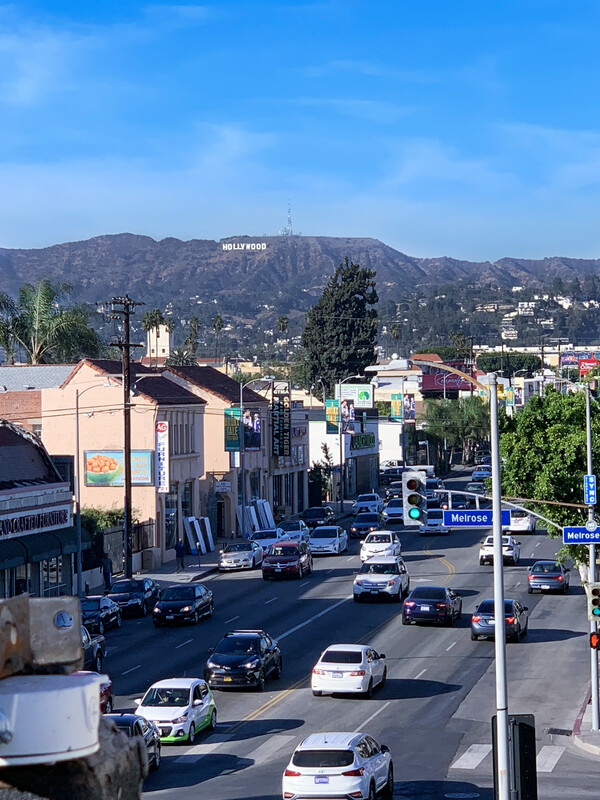 Our Hostel is located 5 minutes from the Hollywood/Western Metro Station and 10 minutes from the Wilshire/Western Metro Station as well as many other Metro Bus lines which are right outside our hostel! Arrivals and Departures - Check-in time is from 3:00 PM to 11:00 PM daily. Check-out time is at 11:00 AM daily. Any guest(s) checking out after 11:00 AM of the check-out day will be charged a $5 late check-out fee (late check-out time: before 12:00 PM). Please make sure you and your belongings are out of the dormitory room and restrooms prior to check-out. All guest(s) checking-out must vacate the hostel premises including the common area by 11:00 AM. Guests must remove any belongings left inside the staff room before 7:00 PM on the day of checkout. Failure to check-in by 11 PM or contact the hostel for late arrival will result in cancellation of the reservation. Maximum Length of Stay Period - 14 nights/calendar year. Guests are not permitted to stay after this period. Quiet Hours and Lights Off time is from 11p.m. to 7a.m. daily within the dormitories. Common area curfew is from 12a.m. to 7a.m. daily as a courtesy to other guests. Identification - All guests checking in must show valid, unexpired photo ID (i.e. passport, government issued I.D. card, or driver’s license) and present their itinerary for the next trip. All valid identification must have the guest’s Picture, Date of Birth, Issue Date, and Expiration Date. All guests must be above 18 years of age. All guests must be a non-local traveler or backpacker and must provide with a proof of onward travel upon arrival, no extensions will be granted without a travel itinerary. 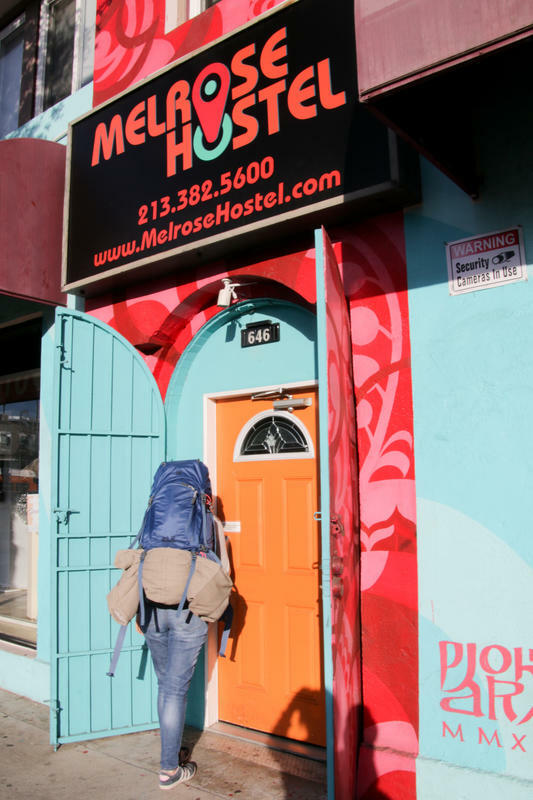 Melrose Hostel does not accommodate any local resident living within the greater Los Angeles area. Melrose Hostel has the right to refuse services to anyone. Access Code - Melrose Hostel will provide guests with access codes to the front entrance of the hostel, as well as access codes for the Dormitory Room. You are not allowed to share this code with anyone. Towel - Guests will be given a towel during check-in for the duration of their stay. If you wish to change your provided towel, Melrose Hostel may replace your used towel for a new towel after 2 nights of stay, free of charge. All guests must return their provided towels from Melrose Hostel during Check-Out. Towels given to guests should not leave the Melrose Hostel premises. 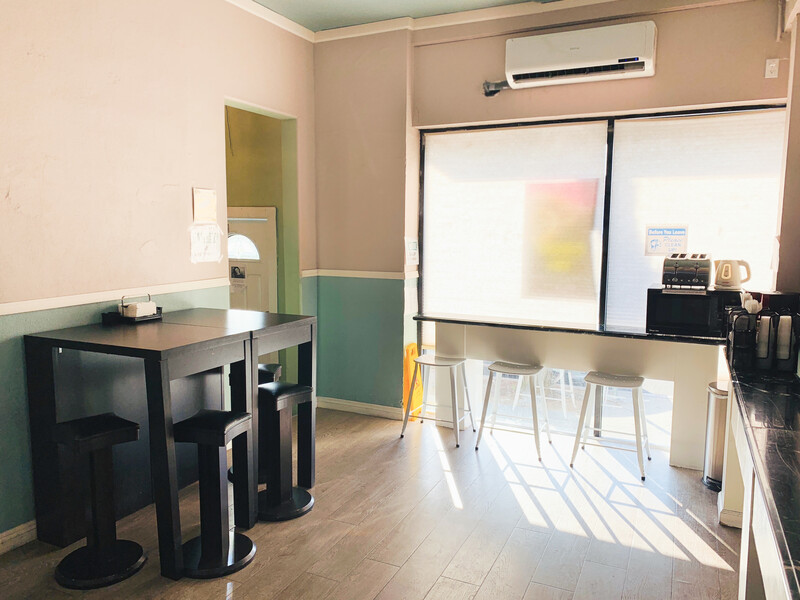 If the provided towel is not returned at the time of Check-Out, Melrose Hostel reserves the right to charge customers $10 for the cost of towel. Beds - During Check-In, guests are allowed to choose their bunk bed on a first come first serve basis. However, guests are not permitted to switch to a different bunk bed during their stay, unless permission is granted by the Melrose Hostel front desk staff for an additional fee of $5. Guest Behavior - The comfort and safety of all guests are important to Melrose Hostel and staff. Any guest(s) who, in the opinion of our staff, compromise the comfort (odor, noise, harassment, aggressive behaviors, highly intoxicated, etc.) or safety of other guests, staff, or local residents must leave the hostel premises and will not be given a refund. Guests must be fully clothed within the common areas and dining area. Guests are only permitted to dormitories of their respective gender. For example, no male guests in female dorms and no female guests in male dorms. No Smoking indoors - Smoking is not permitted anywhere inside the building. Smoking is only permitted in the designated smoking area at Melrose Hostel. Any guests found smoking inside the building must leave the premises immediately. A refund will not be issued for the stay. No Drugs or Excessive Alcohol Consumption - Drug (marijuana, ecstasy, cocaine, etc.) use in our hostel is forbidden and illegal. Any guest(s) found using drugs within the building will be asked to leave and will also be reported to local law enforcement. No alcohol content over 12% ABV is allowed on the premises and will be confiscated by staff members. Anyone under the age of 21 is not allowed to drink alcohol on the premises. Moreover, if any staff member(s) deems a guest(s) too highly intoxicated, he/she must leave the premises. Refunds will not be issued if any of these rules are violated. Melrose Hostel does not serve alcoholic beverages. Personal Property - Melrose Hostel is not responsible or liable for the loss, theft or damage to any personal property within the Melrose Hostel property or Melrose Hostel staff room. Guests are allowed to use the provided lockers within the premises on a first come first serve basis. Locks are not provided, but sold at the front desk. Please check with front desk staff for the cost and availability of locks. It is the guest’s responsibility to ensure that their personal belongings are secure at all times. *** ANY ITEMS LEFT IN THE SHOWERS, RESTROOMS, AND/OR REFRIGERATOR WILL BE DISPOSED OF. PLEASE MAKE SURE TO TAKE YOUR BELONGINGS WITH YOU. *** Damage to Melrose Hostel Property - Guests must reimburse Melrose Hostels for any damage caused by disrupting or damaging behavior during their stay. Melrose Hostel reserves the right to charge the guest for the any damages to the property caused by the guest. 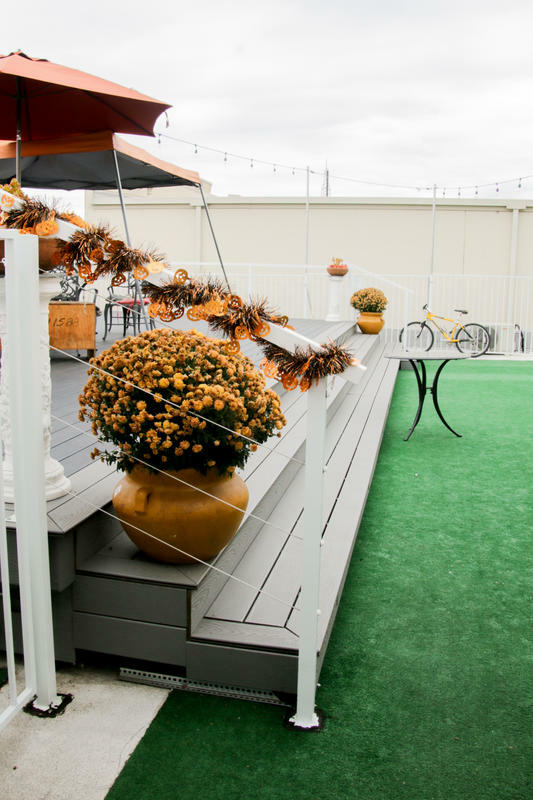 Liability - Melrose Hostel is not responsible for personal injury as a result of any guest’s behavior. 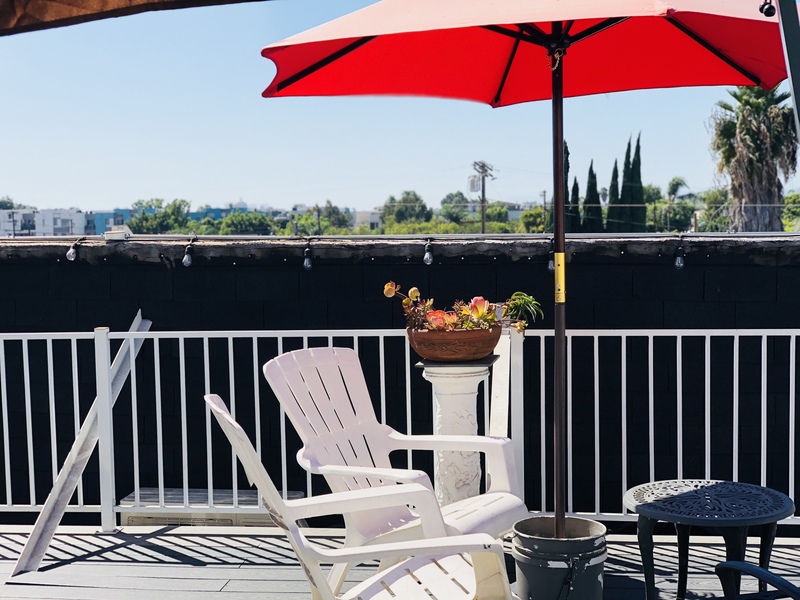 Guest Information - Melrose Hostel may store and use information supplied by the guest(s), however, we will never disclose any personal information for the purpose of promoting our business, or to the benefit of any third party solicitation. Sale - All Sales are Final. No Refunds or Exchanges. All reservations must be paid in full at check-in. All changes, cancellations, and requests to the reservation must be made 24 hours prior to the check-in date/time (3pm daily). Any cancellation within 24 hours of check-in time will not be accepted. Guests will not be refunded for any cancellations after check-in. All credit/debit cards used during the time of payment must match the valid ID of the guest(s). Errors and Amendments - Melrose hostel reserves the right to amend the price list, order forms, web page, order acknowledgement, invoice, and other documents issued by Melrose Hostel without liability. We will advise you of any changes at the time of reservation bookings.